For beginner racers and fitness enthusiasts looking for stability, comfort, and performance, look no further than the Madshus Megasonic Classic Nordic Ski. With reliable Torsion Cap construction, a Universal camber, and a lightweight Polycell foam core, the Megasonic Classic Ski delivers essential stability, comfort, and ease-of-use. The Madshus empower™ app is changing cross country skiing. Train smarter by pairing your Megasonic skis with empower™. Polycell Foam Core: 3D shaped to maximize the feel of the ski, the polyurethane based foam core utilizes specific carbon and fiberglass reinforcements to guarantee flex consistency with excellent dampening properties. 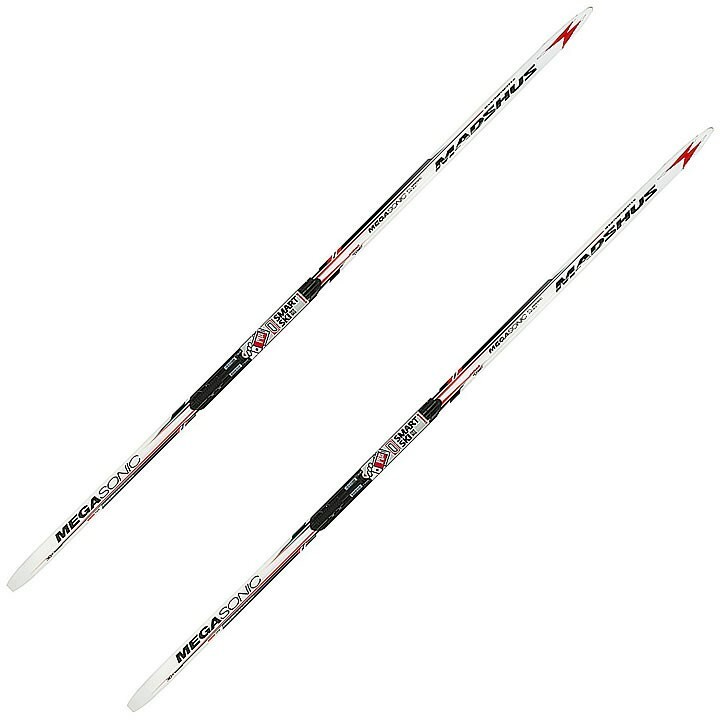 P170 Base: The P170 Base was designed to complement Madshus' race performance skis, providing the durable and fast bases that are expected from Madshus.